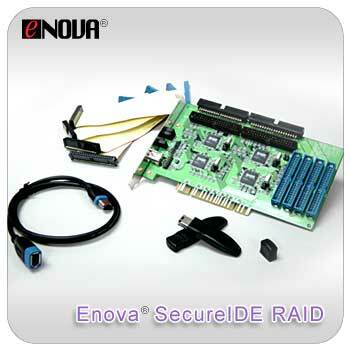 Enova® SecureIDE RAID is an encrypted bridge board that connects between the generic RAID controller and the IDE UltraDMA disk drives, offering 133MB/sec real-time hardware encryption speed to all the connnected RAID hard drives. There isn't any performance degradation because of operations of encryption and decryption. All disk contents including Operating System, boot sector, and temp./swap files are strongly encrypted using NIST & CSE certified TDES 128-bit or 192-bit hardware algorithms. 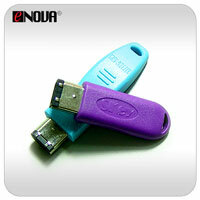 The Enova® SecureIDE RAID does not require any special device drivers nor does it depend on Operating System. It is compatible with all known operating systems as long as your generic RAID controller supports them all. 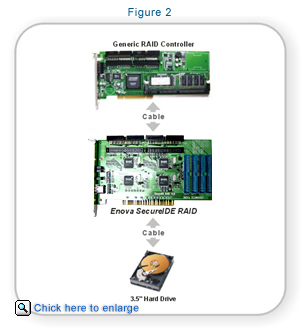 The PCI interface only offers the required power, ground and support to the Enova® SecureIDE RAID. 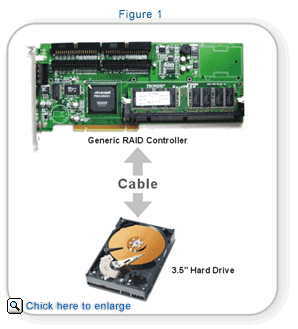 All RAID disk drives share the same Secure Key which is provided via an external key token connected through an extension cord to the Enova® SecureIDE RAID for key insert. The key token serves as user authentication for access control while the X-Wall XO-128 ASIC encrypts and decrypts. The X-Wall XO-128 design allows users to remove the key token after the connected RAID hard drives have been properly recognized by the OS. The "Secure Key" is transmitted into the microchip at boot up via a hardwired protocol and is retained in protected volatile memory inside the chip until the power is turned off. The same key token has to present again during next power on or resume from hibernation state. The security is greatly enhanced because 1) the Secure Key disappears when the power is down and 2) the data can not be read, because no one can find the Secure Key by electronic means. As illustrated in Figure 1, the regular RAID connection without encryption. 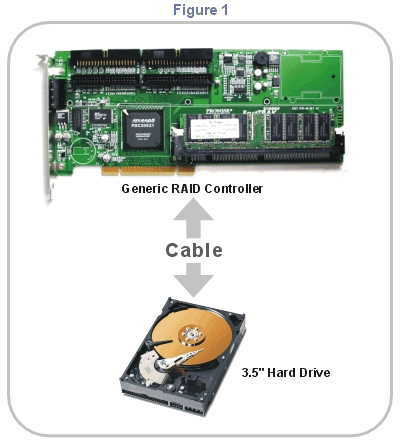 All disk drives maybe connected directly to the generic RAID controller which also supplies required device drivers under various operating systems. The generic RAID configuration relies heavily on the software disk encryption which is notoriously known for poor performance and soft security. 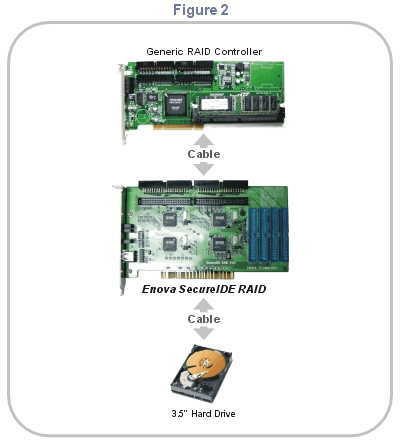 Figure 2 shows that Enova® SecureIDE RAID sits in between the generic RAID controller and disk drives, offering hard security at 133MB/sec bursting to all RAID disk drives. The operation of encryption/decryption is totally transparent to all disk drives, offering absolutely no performance degradation. Please note: Either the Host or the Generic RAID controller has to support the actual RAID functionalities. Enova® SecureIDE RAID simply bridges through all RAID functionalties from the Host to disk drives then adds hardware security.